Home > Uncategorized > Bounty, Tide, & Charmin As Low As 5¢ Each at Walgreens! Bounty, Tide, & Charmin As Low As 5¢ Each at Walgreens! There is a super good Walgreens deal this week that even got my diehard CVS self into the store! 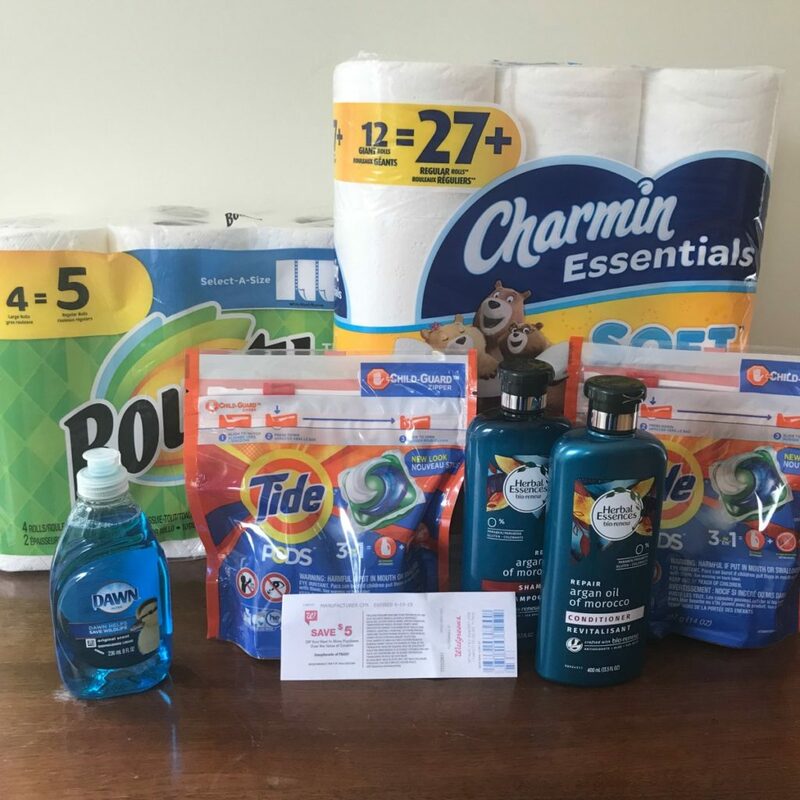 They have a hidden $5 Register Reward printing on select P&G items, plus all of those items also qualify for 10,000 Balance Rewards!! When you buy $30 in participating items, you will end up getting both rewards. Plus there are coupons you can pair in too!! After rewards and coupons you will have probably the best prices we will see all year on P&G items! Note: Make sure to log into your Walgreens account (or app) because most of us are also finding a 5,000 Balance Rewards when you buy $20 coupon. You can use this too!! Total for everything: 38¢ or 5¢ each! Important: Do not pay with any Balance Rewards you may already have! You must buy $30 before coupons, but Balance Rewards lower your total and will keep you from earning the 10,000 rewards points.